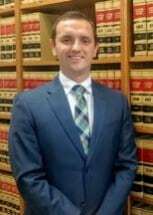 Mr. Lewis joined the The Walker Law Firm in 2016 as an associate attorney. His practice emphasizes estate and business planning, and probate, trust, and business litigation. He is currently licensed to practice law in California and Washington State, and admitted in each of the U.S. District Courts for California and Washington State. Mr. Lewis attended Chapman University School of Law in Orange, California, where he obtained his Juris Doctorate degree and a certificate in tax law. While studying at Chapman, Mr. Lewis had the privilege of externing with the Honorable Catherine E. Bauer of the United States Bankruptcy Court, for the Central District of California. He also spent a semester working in a low-income tax clinic, assisting individuals with tax related issues. Prior to Chapman, Mr. Lewis obtained his Bachelor of Arts degree in Philosophy from Westmont College, located in Santa Barbara, California. While at Westmont, Mr. Lewis interned with the local district attorney’s office and volunteered at the local Boys & Girls Club.